Gout. 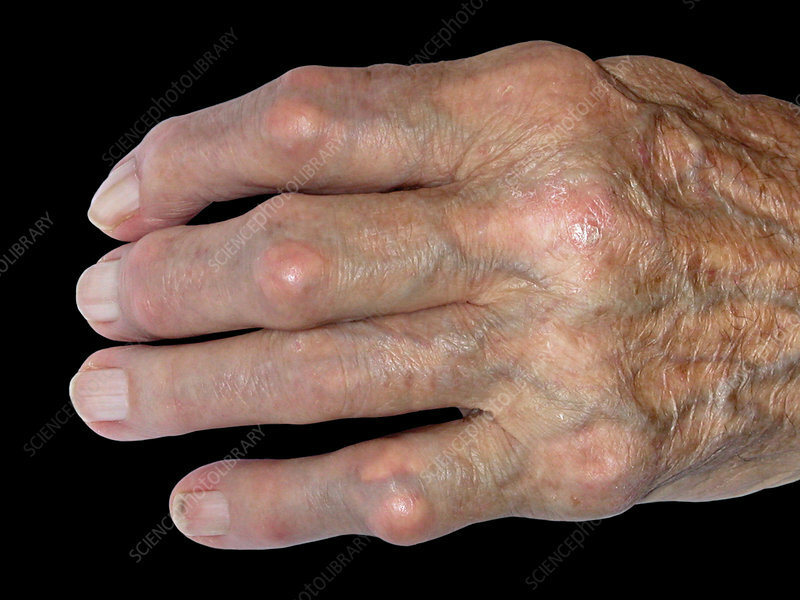 Close-up of the swollen hands of a 90-year-old male patient affected by gout. Gout is a disorder of uric acid metabolism by the kidneys. It can result in deposits of monosodium urate crystals in joints and nearby connective tissues. The deposition of crystals causes local inflammatory swellings (tophi) that are extremely painful. Treatment is with anti-inflammatory drugs and changes in diet.